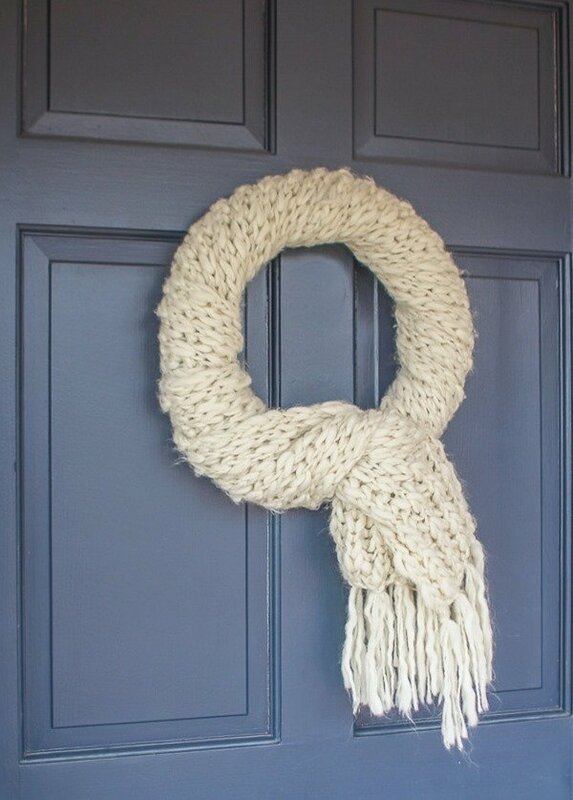 Quick and Easy Winter Wreath Made from an Upcycled Scarf - Lovely Etc. This simple winter wreath is an easy way to upcycle a scarf into beautiful decor. 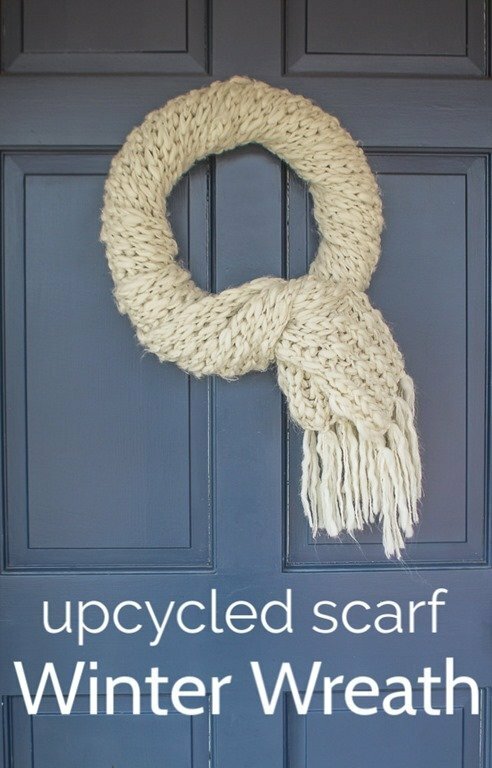 Even better, it only takes five minutes and you can still wear the scarf when you are done with your wreath. Win-win! I considered repurposing the scarf as a pillow cover, but it wasn’t quite wide enough. Luckily inspiration struck and I decided to transform it into a beautiful winter wreath instead. 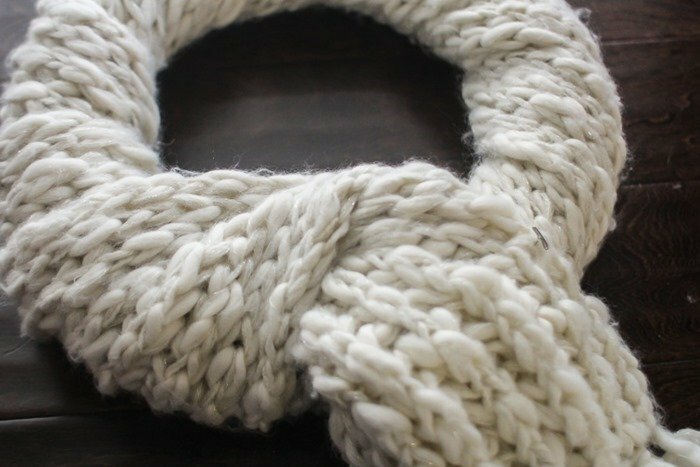 I’ve got a thing for non-traditional wreaths and now that Christmas is over, I’ve been wanting to make a great non-Christmasy wreath to see us through the rest of winter. This is really incredibly easy to make and only takes a few minutes. Pull one end of your scarf through the center of the wreath form. 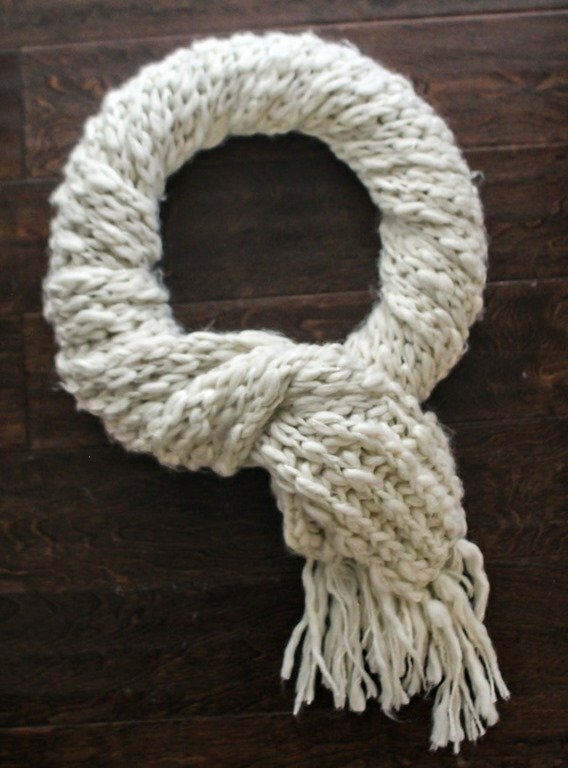 Wrap your scarf around the wreath until most of the wreath form is covered. Be sure to pull your scarf out as flat and wide as possible as you are wrapping to help ensure it can cover the entire wreath form. You should be left with the two ends hanging free. 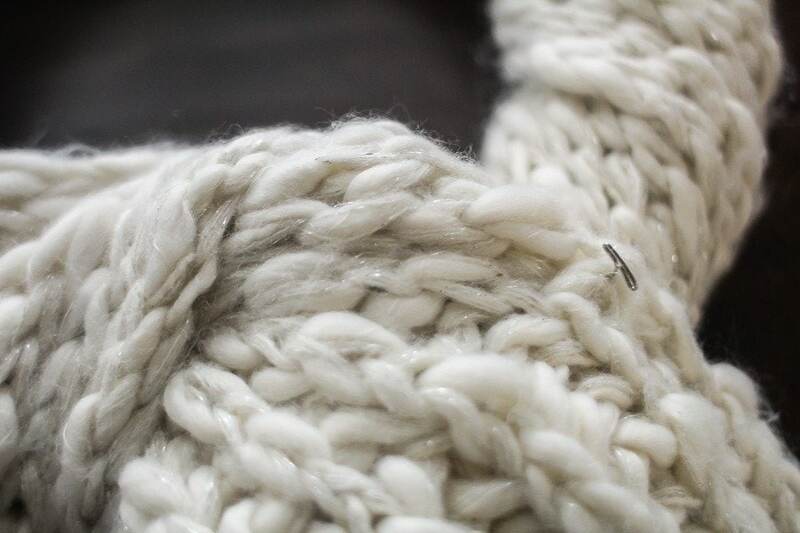 Adjust the scarf so that the end emerging from underneath the scarf form is slightly longer than the other end. Take the longer end, twist it one time, and then lay it over the other end. Once you like how your ends are arranged, use a couple of T-pins to pin the ends in place. 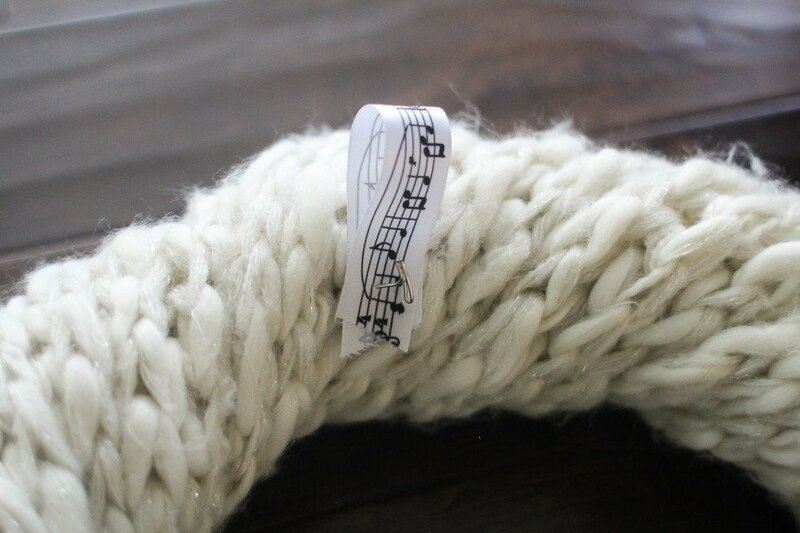 Turn the scarf over and use another T-pin to attach a small loop of ribbon to the back of your wreath for hanging. 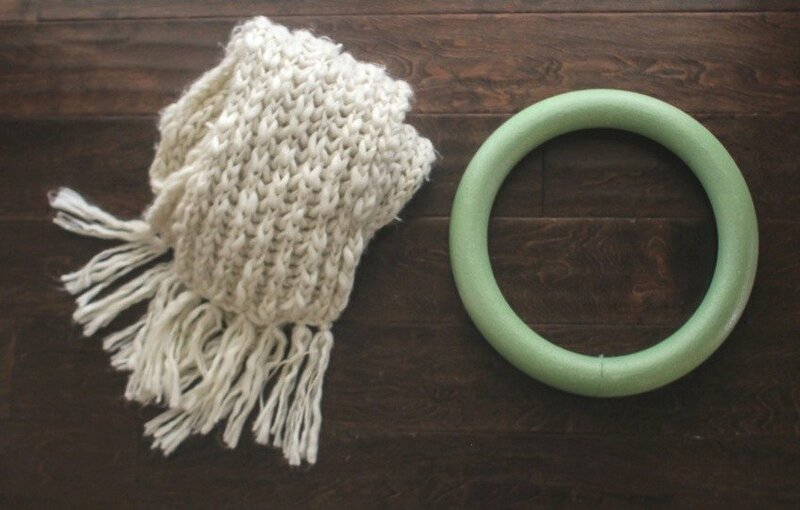 Now you are ready to hang it on your front door, your wall, or your other favorite wreath-hanging spot. 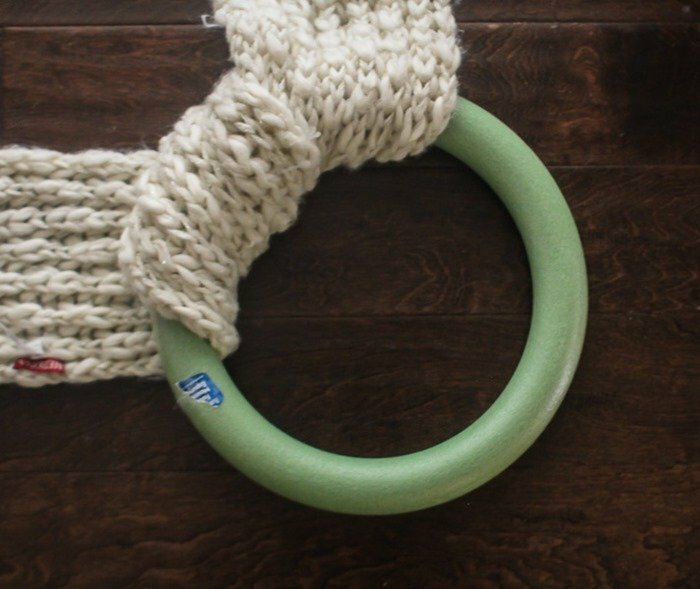 Seriously, what a cute five minute DIY winter wreath! 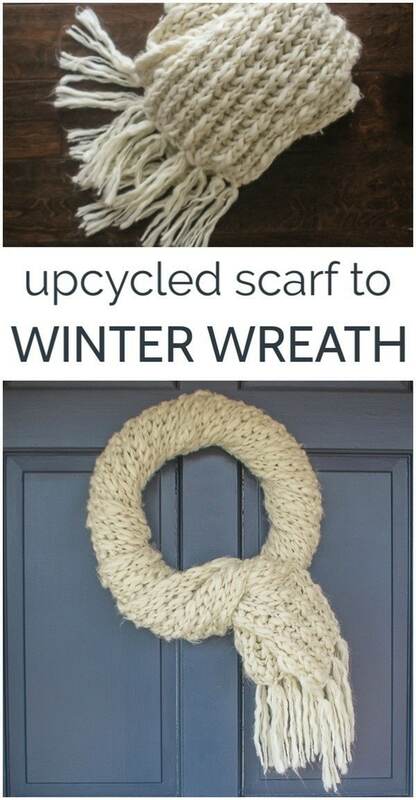 And if you get tired of your wreath and would rather have the scarf instead, simply unpin it and it is good as new. 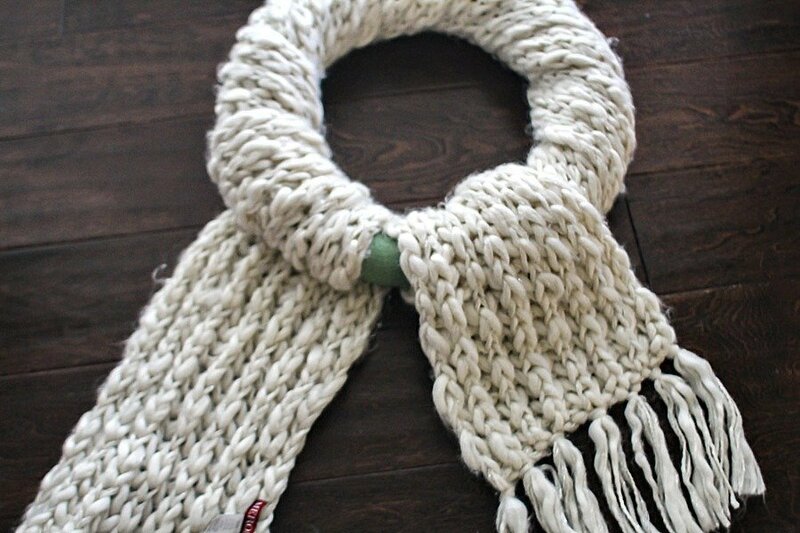 It’s beautiful and you choose the perfect scarf! The bulkiness and the texture really work. Love this! 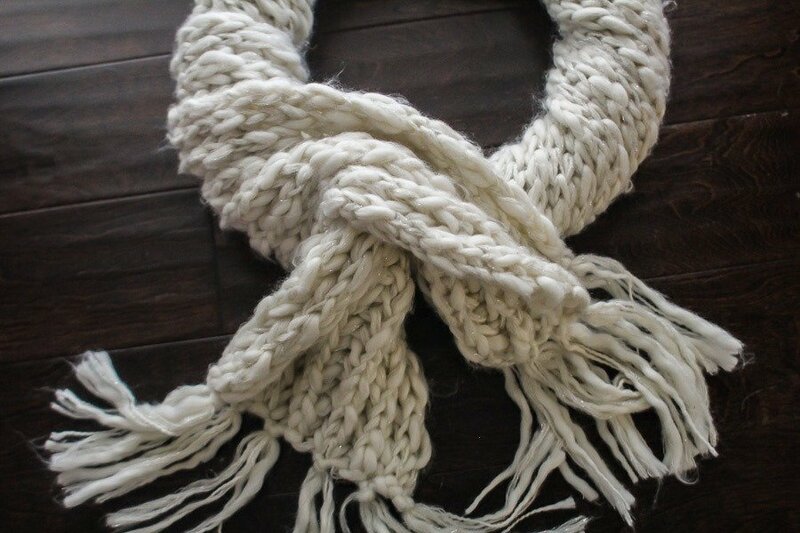 Simple and perfect for winter. What a simply project and makes a pretty winter wreath. Then remove with you want to wear it!